Here are three pictures shared by the well known Silent Hill Revelation VFX Paul Jones, featuring some of the monsters the created for the second film. The Pyramid Head and Nurses reprising their roles and the new Creature from Brookhaven Asylum. Silent Hill: Revelação em DVD dia 18 de Abril em Portugal! Esta notícia é especialmente para os fãs Portugueses por aí! 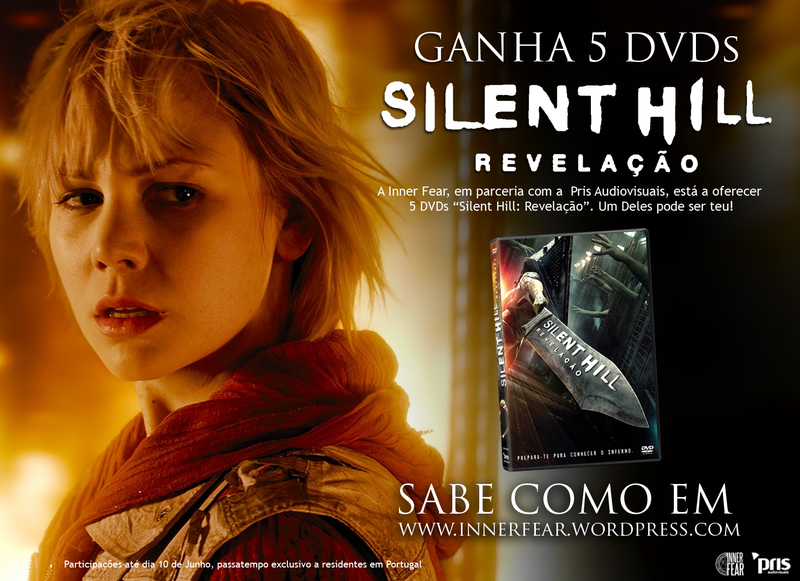 Dia 18 de Abril, ou seja, amanhã, será lançado “Silent Hill: Revelação” em DVD e Blu-Ray, pela Pris Audiovisuais! 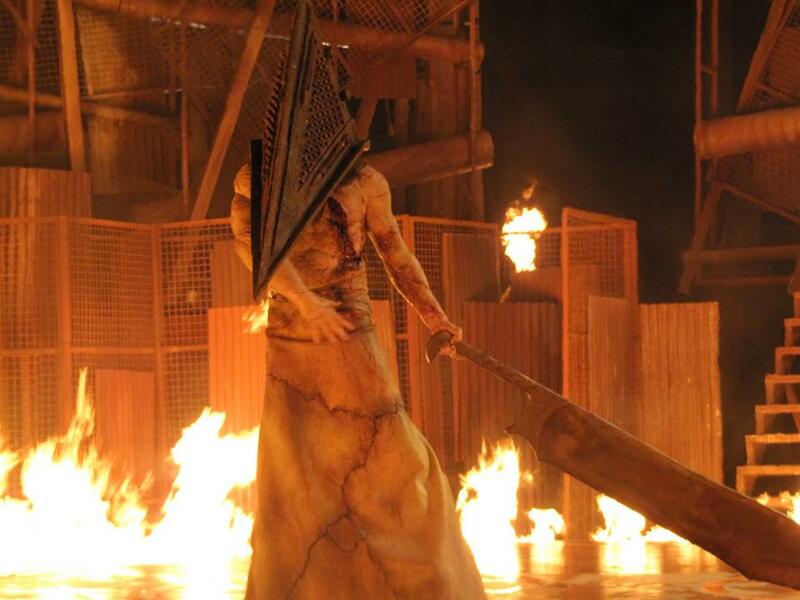 Japan is getting Silent Hill: Revelation 3D in June! Here’s the japanese advertise for Silent Hill: Revelation 3D, hiting Japan in June. This banner is extremmelly well done. Check out these Silent Hill: Revelation 3D deleted and extended scenes! Between them you can count with Heather meeting Rose… Find out why they decided to take them off the final cut! Silent Hill: Revelation 3D Blue-Ray and DVD release date revealed! The release date of Silent Hill: Revelation 3D on Blue-Ray 3D and DVD has been revealed, as well as its cover art, featuring the Pyramid Head seen in the movie, in fact, it is the promotional poster, released with the film. So you can mark February 12, 2013 on your calendar! Based off the popular cult favorite video game series Silent Hill, comes the action-packed horror Silent Hill: Revelation starring Sean Bean (The Lord of the Rings Trilogy), Carrie-Anne Moss (The Matrix Trilogy), Adelaide Clemens (X-Men Origins: Wolverine) and Malcolm McDowell (Halloween (2007), A Clockwork Orange). Silent Hill: Revelation will be available on 3D Blu-ray™ Combo Pack, Blu-ray™ Combo Pack, DVD, On Demand and Digital Download on February 12, 2013 from Universal Studios Home Entertainment. Return to a place of insanity and blood-curdling chills in this shocking sequel to one of the most surreal and gruesome horror films ever created. Heather Mason (Adelaide Clemens) and her father (Sean Bean) have always tried to stay one step ahead of the malevolent forces intent on their destruction. But on the eve of her 18th birthday, a dangerous revelation leads her deeper into a demonic world that threatens to trap her in a nightmarish landscape forever. Based on the hugely popular video game series and written and directed by Michael J. Bassett (Deathwatch), it’s a psychological trip into absolute terror unlike anything you’ve ever known. The Silent Hill: Revelation 3D Blu-ray™ Combo Pack and Blu-ray™ Combo Pack includes Blu-ray™, DVD and Digital Copy of the film compatible with iPhone®, iTunes®, iPad®, iPod®, iPod® touch, Android™ or online retail partners, as well as UltraViolet™. UltraViolet™ is the revolutionary new way for consumers to collect movies and TV shows in the cloud to instantly stream and download to tablets, smartphones, computers, and TVs. 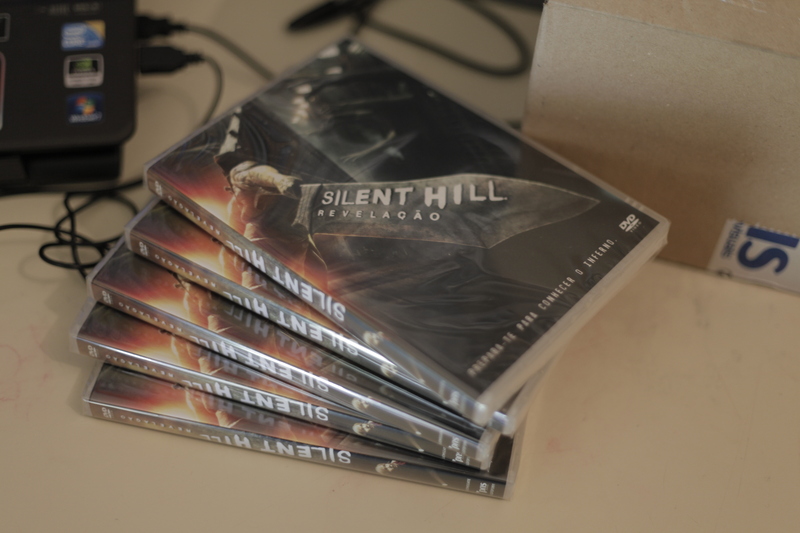 Consumers can now truly enjoy Silent Hill: Revelation anytime, anywhere on the device of their choice. 3D Blu-ray™ unleashes the power of your HDTV and is the best way to watch movies at home, featuring perfect hi-def picture and perfect hi-def sound. Digital Copy provides consumers with a choice of formats from a variety of partners, including options to watch on iPhone®, iPad®, Android, computers and more. UltraViolet™ is the revolutionary way for consumers to collect their movies and TV shows in the cloud. UltraViolet™ lets consumers instantly stream and download to tablets, smartphones, computers and TVs. Now available in both the United States and Canada. HAVE YOU ALREADY WATCHED SILENT HILL: REVELATION 3D? … if you did, share your opinion here. I want to hear what you think about this second Silent Hill movie!